Another busy day with a fair share of 'missing' children and other incidents.There is a set procedure to cater for missing people, which involves shutting all the gates to prevent any one leaving and a description being broadcast to all radios and a search made of likely places they may be. Most of these people are found quickly and usually in their own, or a friends tent completely unaware they are 'missing'. However, some go the wrong way somewhere and are genuinely lost and are safely reunited with their family. 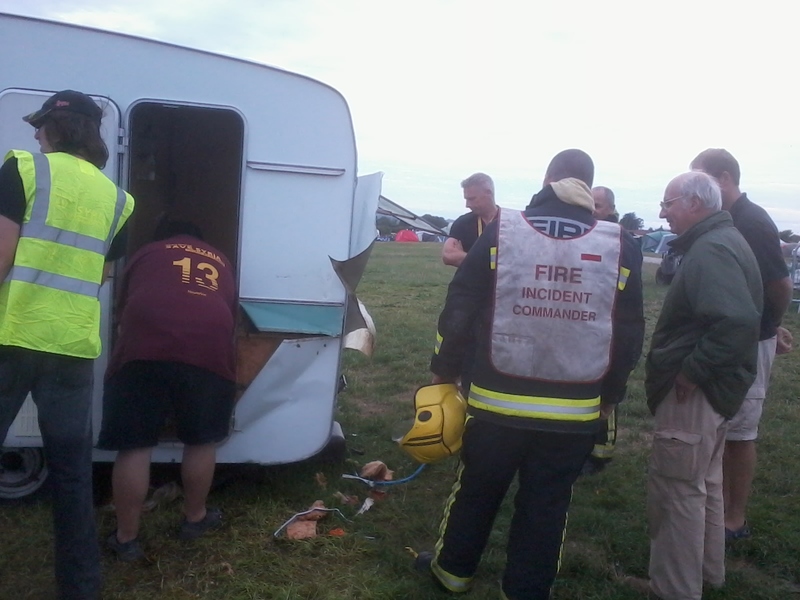 We also had a serious incident involving a fire in a caravan. This fortunately was brought under control due to the prompt attendance of the stewarding team. We did however call the local fire brigade who attended and after checking with a thermal camera confirmed the fire was out. The caravan was a right off. 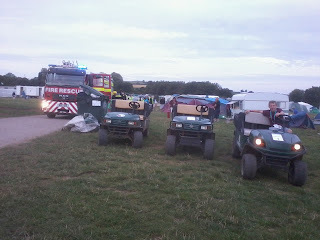 We also had reports of a fire in a tent which turned out to be a citronella bucket which someone had inside their tent.